Team Arana would begin their quest for the 2019 NHRA Mello Yello Drag Racing Series championship with a solid semi-final finish at the season opening NHRA Gatornationals in Gainesville, Florida. After finishing last season with momentum, Hector Arana Jr. came into 2019 as one of the preseason favorites and backed that up with an impressive final-four appearance at the opening round. After qualifying the Lucas Oil EBR in the fourth position, the 2013 Gainesville winner would defeat Kelly Clontz and Ryan Oehler to advance to the Semi-Final round before falling to eventual event winner Andrew Hines. 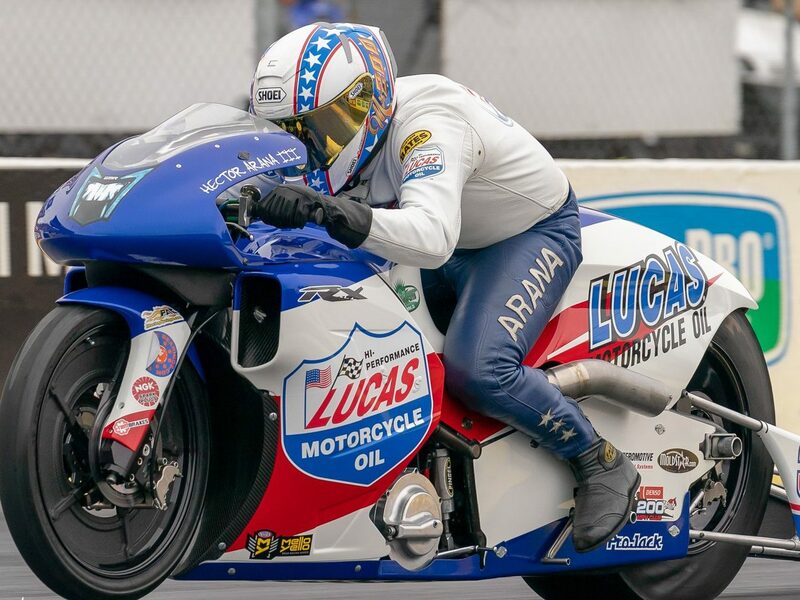 Teammate Hector Arana Sr. claimed the ninth position in qualifying aboard his Lucas Oil EBR but would lose a tough match up against Jerry Savoie and conclude his weekend with a first round exit. While he just missed out on a final round berth, Arana Jr. was excited to get the season started after a busy off-season that culminated with the birth of his first child. With the result, Arana Jr. holds the 3rd position in the points standings while Arana Sr. is currently ranked 11th. The Pro Stock Motorcycle class returns to action at The Strip at Las Vegas Motor Speedway with the NHRA Four-Wide Nationals on April 5-7.